Today, the European Commission released its 2018 report on the Safety Gate for dangerous products, the former Rapid Alert System. 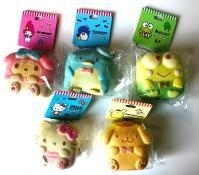 The report shows that authorities exchanged 2,257 alerts on dangerous products. 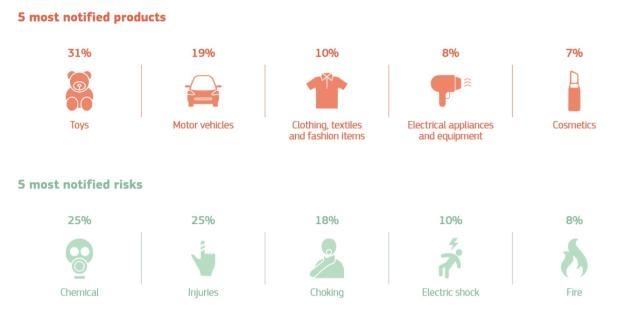 Toys' belonged to the most notified product category (31%), followed by 'motor vehicles' (19%), and 'clothing, textiles and fashion items' (10%), while the main risks flagged were chemical risks and injuries (25% each) followed by the choking risk for children (18%). Product recalls are one of the most common measures to reduce the risks posed by dangerous products, however the proportion of products successfully recovered from consumers remains generally low. The results of a new survey on the issue show that aa third of the respondents consciously continue to use recalled products, suggesting that recall notices may not have much effect on consumers and/or that the risk may not be communicated clearly enough. Since 2003, the Rapid Alert system ensures that information about dangerous non-food products withdrawn from the market and/or recalled anywhere in Europe is quickly circulated between Member States and the European Commission. This way, appropriate follow-up action (ban/stop of sales, withdrawal, recall or import rejection by Customs authorities) can be taken everywhere in the EU. The Rapid Alert System was renamed the Safety Gate by the European Commission. 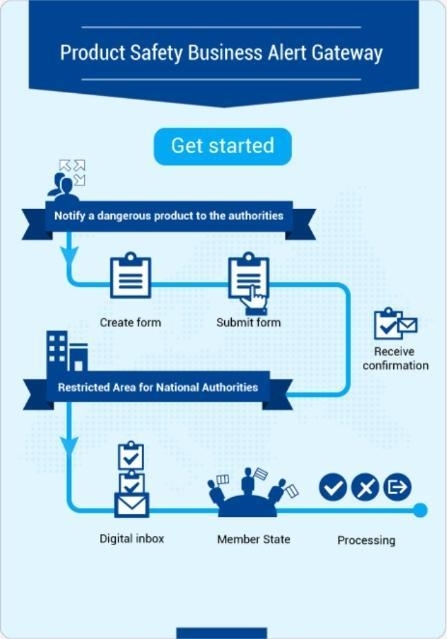 Businesses also can use the Business Gateway to quickly and efficiently warn national authorities about a product that they have put on the market that might be unsafe.